26891 Wedgewood Dr #202, Bonita Springs, FL.| MLS# 218044253 | Southwest Florida Residential Real Estate for Sale. Enjoy spectacular lake and preserve views with a southeast exposure from this pristine second floor 3 bedrooms, 2 baths, 2 car detached garage carriage home. Spacious living room opens directly to a glassed-in lanai which adds over 225 sq. ft. of living space. 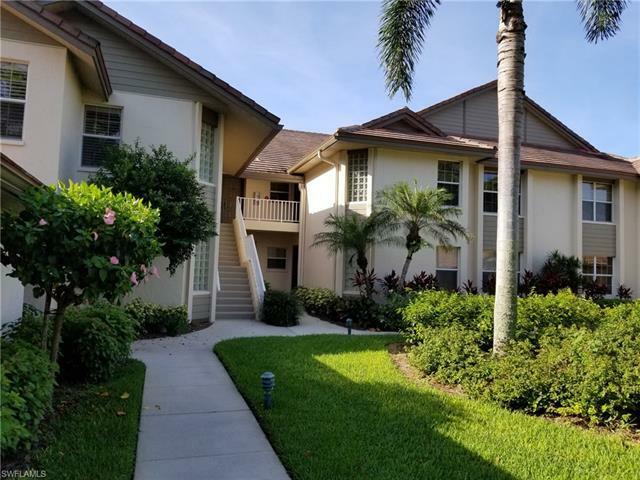 Condo features include: updated kitchen and bathrooms, wood-look cork flooring in the living areas, generously sized bedrooms with newer carpeting, newer tile in master bath, and more. Wedgewood amenities include a large resort style swimming pool and two tennis courts located in a park like setting with grills and sitting areas both outside and screened-in. In addition, residents enjoy the Bonita Bay offerings of over 12 miles of walking and bike trails; private beach park, with an in-season shuttle service; three community parks; full service Marina with direct access to Gulf of Mexico, Backwater Jacks restaurant and an optional Bonita Bay Club membership which offers five championship golf courses, clubhouse dining options, newly renovated tennis/pickleball/aquatic center with Breezeway Bar & Cafe, and the Lifestyle center featuring fitness center, day spa, beauty facilities.